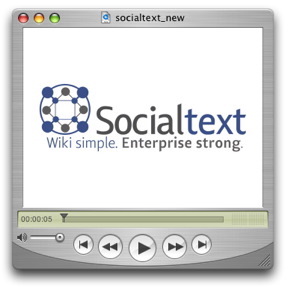 SocialText today announced SocialPoint a wiki based collaboration web service designed to work with Microsoft's SharePoint. SocialPoint enables Sharepoint to authenticate to multiple wikis, display "Recent Changes" and pages within the portal while offering them up for real time group editing. For example with SocialPoint, a marketing team working on a product launch can collaborate on product marketing materials within a wiki, and then share those materials with field people who link to the SharePoint portal so the field is informed about the launch. Conversely, SocialPoint enables the field people to provide the marketing team with direct and timely feedback from customers. "I believe that our Open Source solutions cooperating with Microsoft may grow the Open Source community as a whole. Most people won't see this in Microsoft's best interest. I do. Some people won't see this in Open Source's best interest. I do." Microsoft works hard every day with partners to make great products for customers. SocialText has great technology that adds value to SharePoint and together provides a great solution for customers. Welcome to the Microsoft partner community. Subscribe - To get a FREE automatic feed of all future posts subscribe here, or to receive them via email go here and enter your email address in the box in the right column..